ChiIL Mama : Have You Seen The Incredible Swedish SKILL TWINS? Rocking Addison, IL Through 8/21. Have You Seen The Incredible Swedish SKILL TWINS? Rocking Addison, IL Through 8/21. Jakob and Josef (a.k.a. the Skill Twins) bring their highly anticipated Skill Twins U.S. Tour to the Chicago area from Sweden! Addison Youth Soccer is bringing YouTube stars, the Skill Twins, to the Chicago area to teach young soccer fans how to become soccer stars. The Addison Youth Soccer camps promise big results on the essentials of the game of soccer. From improving ball control and footwork to learning new techniques, soccer players in the program will discover and learn from the dynamic Skill Twins. The Skill Twins have over one million subscribers on their YouTube page. One of their videos has more than six million views. Check out the Skill Twins in action HERE. During the 3-week sessions, the Skill Twins will demonstrate the techniques that help create young soccer stars. “I have witnessed this evolution first hand. I recently adapted my coaching techniques to focus on a footwork-heavy agenda and have seen great results. Addison Youth Soccer took home the 2015 Illinois State Cup in the U9/U10 division because of this new training,” Frank DeAngelo, Addison Youth Soccer President. The Skill Twins camp is open for ages 7 to 18 (high school senior level max) and each age group will be divided by age and skill. There are 9 sessions to choose from, but space is limited to a first come first serve basis, so book your preferred dates today. Cost of each session is: $285.00 plus $8.12 transaction fee. Stay the week and join the Skill Twins for the only remaining Skill Twins Sunday dinner package on August 16 2015. 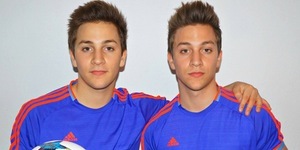 About Skill Twins: 19 year old identical twins, Josef & Jakob, are better known as the Skill Twins. 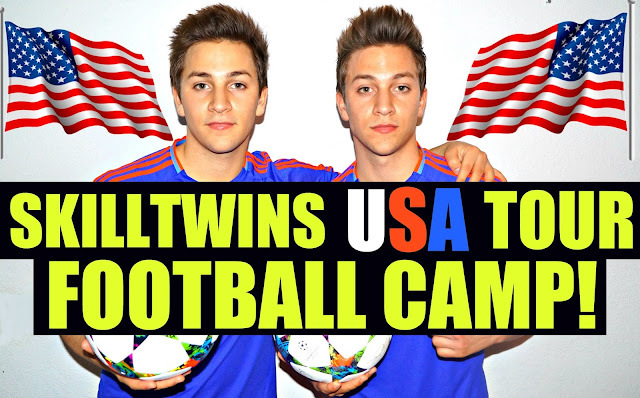 The Skill Twins have millions of fans on YouTube – and their skills have been highlighted by the biggest names in the world of soccer such as: Özil, Zidane, Neymar, Messi and Cristiano Ronaldo. You can subscribe to the Skill Twins channel and become a #SkillTwiner to follow their exciting journey TOGETHER. To learn more about Skill Twins and their adventures go to https://www.youtube.com/SkillTwins and follow #TeamJosef vs. #TeamJakob on www.Twitter.com/skilltwins. Addison Youth Soccer focuses on training and educating. It offers various training programs, camps and leagues for age 4 to 17 years old (or high school senior). At Addison Youth Soccer, the sport is 365 days a year and it never stops. Addison Youth Soccer offers strength training, futsal training, and more. The education of the sport never ends with in house training from trainers from all over the country.